In perhaps the most ambitious move by any of the major sports leagues, the NBA expressed its intention of lobbying Congress to uplift the federal ban on sports betting and impose regulations. NBA Senior Vice President and Assistant General Counsel Dan Spillane spoke at the recent Sports Betting USA Conference in New York City. Spillane mentioned the league has representatives in Washington D.C. and is working on legislation. Their hope is that the outcome of the ongoing SCOTUS case will shift Congress’ perception on the notion of legalizing sports betting. Current legal betting online options permit sports betting via licensed offshore sportsbooks. The Professional and Amateur Sports Protection Act, or PASPA, prohibits any brick-and-mortar sportsbooks from operating in 46 states. If PASPA is repealed, and the NBA’s lobbying works, there will be NBA betting lines offered in physical sportsbooks throughout the country. The NBA’s renewed stance is different from where they were a year ago. 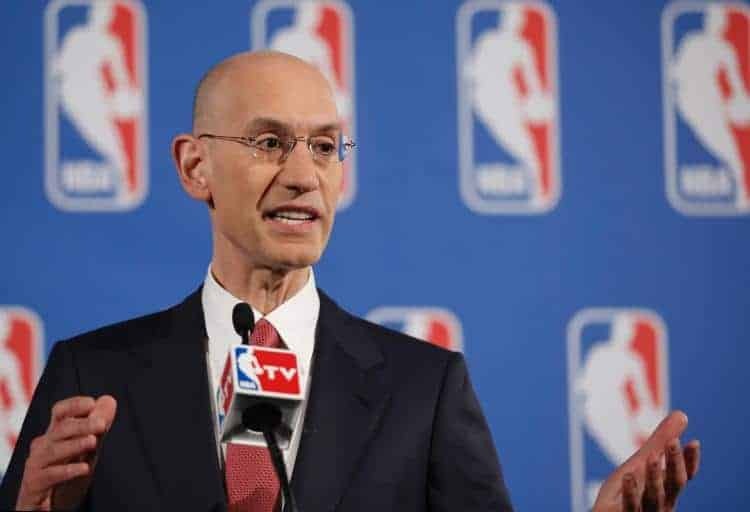 While Commissioner Adam Silver has expressed his interest in sports betting legalization in a New York Times op-ed, the league has never openly advocated for it. Interestingly enough, this decision comes almost 3 years later from that op-ed. While this is fantastic news for sports betting advocates, everything rests on the US Supreme Court case with New Jersey and the major sports leagues. Dating all the way back to 2014, the NJ sports betting case emerged from the Garden State’s attempt to authorize sports wagering in its licensed gambling establishments—a direct violation of PASPA. The move prompted the NFL, NBA, MLB, NHL and NCAA to file a lawsuit, which led to the federal government blocking the legislation. New Jersey appealed the decision and over the course of several losses, managed to land an audience with SCOTUS. New Jersey is arguing that PASPA is unconstitutional and states should have the right to implement legal sports betting should they choose to do so. The federal ban was passed in 1992, so many believe it is a tad outdated. After all, millions of bets are placed daily through legal US friendly sportsbooks, however individual states cannot claim any revenue off these sites. The case is set to formally begin in December and expected to roll into 2018. Many gambling analysts believe that New Jersey will win the case, and if this happens, PASPA will likely be repealed. The fact that the NBA is openly advocating for sports betting legalization cements the assumption that sports betting in the United States is becoming a real possibility. Other leagues have hinted at the possibility of legal sports betting, but the NBA is the first to come out on the record as fully supportive of sports gambling reform. If PASPA is repealed, expect a full court offense led by the NBA.